One day in 33 A.D., dark clouds loomed over Jerusalem, filling the air with gloom. One day in 70 A.D., flames of war raged in the city of Jerusalem, the smoke drifted and covered the sky. When Pilate, the Roman governor, asked them to make a choice, the Jewish people chose to reject the Lord Jesus. Ultimately, they were cursed by God and suffered the pain of national subjugation. Every time Simon read Matthew 27:21–25, these scenes would come into his mind. Back then, the Lord Jesus’ words and work overflowed with authority and power. He healed the sick, exorcised demons, and allowed the blind to see, the lame to walk, lepers to be healed—which of the things He did or the words He spoke were not beneficial and edifying to people? 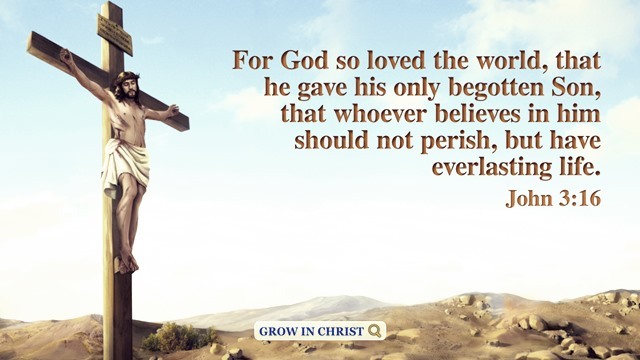 So, what is the reason that caused the Jewish people who had enjoyed so much grace from the Lord to follow the chief priests, scribes and Pharisees to reject the Lord Jesus and nail Him to the cross? With this question, Simon went before God to pray and seek guidance many times. Finally, one day, after listening to Brother Song’s fellowship, he found the answer. That day, Simon came across Brother Song, an old acquaintance of his, and he hurriedly poured out his confusion. “First, they stubbornly held on to their own notions and imaginations and didn’t seek the truth—this is one of the reasons. At that time, the Lord Jesus showed many of God’s signs and wonders, which caused a sensation in the Jewish land. The Jewish people had personally seen or experienced them, and they were aware that the Lord Jesus possessed authority and power, and that He was capable of making the blind see, the lame walk, and even bringing Lazarus, who had already been dead for four days and whose corpse had already rotted, back to life. However, they simply didn’t pay attention to seeking the Lord Jesus’ work or listening to His words, but still stubbornly clung to their own notions and imaginings and relied on them to delimit the Lord. “When the Lord Jesus said He was sent by the Heavenly Father, they accused Him of blasphemy and didn’t believe that the Lord Jesus was the coming Messiah foretold in the Old Testament. Just as it is recorded in the Bible: ‘The Jews answered Him, saying, For a good work we stone You not; but for blasphemy; and because that You, being a man, make Yourself God’ (John 10:33), ‘Is not this the carpenter’s son? is not His mother called Mary? and His brothers, James, and Joses, and Simon, and Judas? And His sisters, are they not all with us? From where then has this man all these things? And they were offended in Him’ (Matthew 13:55–57). Brother Song continued fellowshiping, “We humans are dust, so how can we fathom God’s work? Actually, notions are not to be feared; what is to be feared is for people to blindly hold onto them and refuse to let them go. This is the most deadly thing. Aside from this, another important reason for the Jews following the Pharisees in resisting the Lord Jesus is that in their faith in God, they didn’t worship God or focus on listening to God’s words, but instead followed and listened to men. “In the minds of the Jewish people, the Pharisees had served God in the temple for generations, they were familiar with the Scripture and proficient in the law, and so it was undoubtedly right to follow them in believing in God. Although many of the Jews had heard the Lord Jesus exposed the hypocritical essence of the Pharisees, which was that they did not practice what they preached, and that they honored God with their lips while their hearts were far from Him, they didn’t accept His words. They still had no discernment of the Pharisees and continued to follow them and live bound by them. Just like it is recorded in the Bible: ‘Then came the officers to the chief priests and Pharisees; and they said to them, Why have you not brought Him? The officers answered, Never man spoke like this man. Then answered them the Pharisees, Are you also deceived? Have any of the rulers or of the Pharisees believed on Him?’ (John 7:45–48). Simon shook his head and sighed. From Brother Song’s fellowship, he saw that these Jewish people were exactly a living example of the saying, “The pathetic must have done something detestable.” He couldn’t help but feel sorry for their tragedy and angry at their cowardice. Brother Song nodded approvingly and said, “Thanks be to the Lord! God said, ‘My people are destroyed for lack of knowledge’ (Hosea 4:6). And it says in Proverbs 10:21, ‘Fools die for want of wisdom.’ Those who believe in God but follow and listen to people rather than God are destined for destruction. In fact, we should take the failure of the Jews as a warning. Now the last days have already arrived, and the prophecies of the Lord’s return have basically been fulfilled. 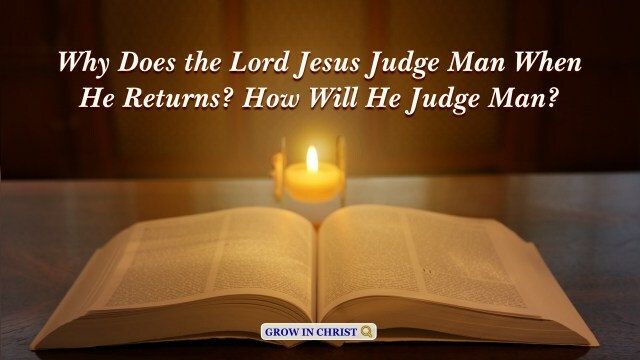 At this key time of the Lord’s coming, how should we welcome the Lord’s return? The Lord Jesus once said, ‘And at midnight there was a cry made, Behold, the bridegroom comes; go you out to meet him’ (Matthew 25:6), ‘My sheep hear My voice, and I know them, and they follow Me’ (John 10:27). The Lord asked us to be as wise virgins, to learn to hear God’s voice, and to actively welcome His coming. Even if there may be some things we don’t understand about the Lord’s coming and we may have some notions, we should let go of them and practically seek and investigate to see whether or not it is God’s voice. Only in this way can we avoid being like the Jews who missed out on God’s salvation because of notions. Simon nodded his head in agreement and they two then fellowshiped until 5 p.m. that day. Because Brother Song had something important to do, they ended the conversation. Pastors all understand the Bible and know God. Then why has the work of God incarnate in the last days been resisted by the majority of pastors? by Yishui Matthew 15:22-28 record: “And, behold, a woman of Canaan came out of the same coasts, and cried to him, saying, Have mercy on me, O Lord, you son of David; my daughter is grievously vexed with a devil. But he answered her not a word. 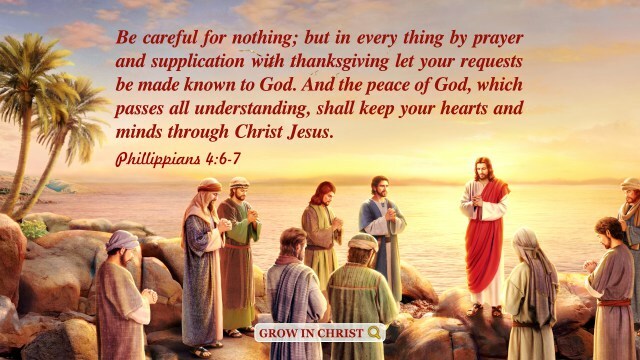 And his disciples..
By Li Qiang The Bible says, “I marvel that you are so soon removed from him that called you into the grace of Christ to another gospel: Which is not another; but there be some that trouble you, and would pervert the gospel of Christ. But though we, or an..
How Should We Know Romans 13:1-2, “Submission to Authorities”? It is stated in Romans 13:1-2, “Submission to Authorities”, But how should Christians act in harmony with God’s will facing the suppression from the Chinese Communists Party?